The city of West Hollywood (aka '“WeHo”) encompasses the legendary clubs of LA's Sunset strip, Melrose Avenue's fashion boutiques, and some of LA's hippest, most storied and unique boutique hotels. 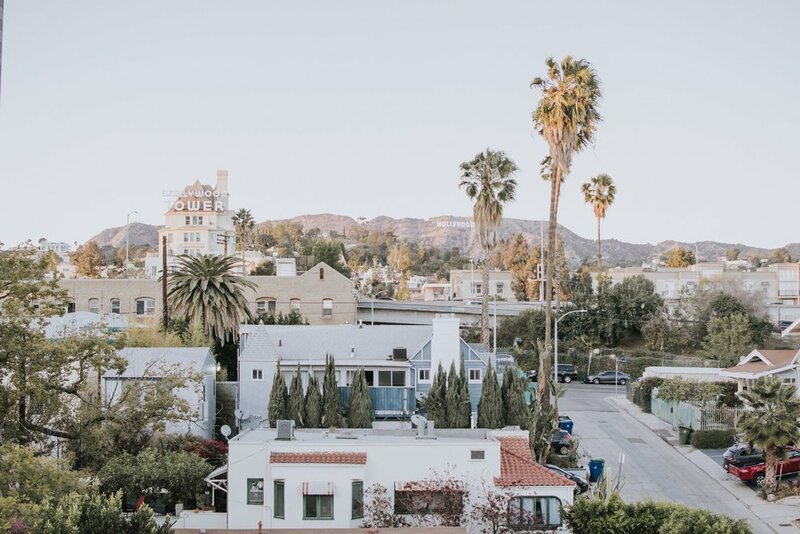 West Hollywood boasts great boutique shopping, vintage clothes stores, home décor shops and some of the most avant-garde restaurants in Los Angeles. The Jeremy Hotel - This striking, artful hotel with smart architecture and design, offers skyline views among some of the the best in the city. Fabulous location with easy access to the shops on Melrose Avenue, Sunset Boulevard and the various hiking trails in the Hollywood Hills. For a invigorating start to the morning, hit the hills of Runyon Canyon before your breakfast back in WeHo. Cecconi's for its well-rounded happy hour available from 4-7pm, Tue-Sat featuring $4, $7, & $9 bites and beverages. All outstanding value considering Cecconi's pedigree. Image courtesy of The Jeremy Hotel. Los Angeles is often criticised for having no real centre, but the renaissance of Downtown is changing that perception. The $2.5-billion shopping and entertainment complex, LA Live, has brought cinemas, upper-end hotels as well as numerous restaurants and clubs. The NoMad Hotel Los Angeles - Old world glamour in the heart of LA continues in the spirit of the original NoMad in New York by taking residence in a historic building. Luxury Hotel with first class service and amenities within walking distance of the Staples Centre, the Arts and Fashion District and LA Live. Perch has a glamorous rooftop setting with French small plates, handcrafted cocktails & grand views of the city. Image courtesy of the NoMad Hotel Los Angeles. Image courtesy of Perch Los Angeles. Hollywood has been a magnet to millions of tourists for many years, often to be disappointed upon arrival. Things have brightened up of late, with the construction of new tourist plazas and shopping malls. When you tire of the sights of the Chinese Theatre or the Hollywood Walk of Fame, head for the delicious multicultural cuisines of nearby Thai Town and Little Armenia. The Hollywood Roosevelt - Effortlessly stylish rooms and suites meld classic Spanish Colonial style with warm, contemporary design. The hotel is in the heart of Hollywood, near famous landmarks and scores of restaurants and bars. Musso & Frank Grill is an iconic Hollywood haunt (est 1919), with deep, dark booths and wood-panelled walls creating a "clubby type" feel. Great food and service and "M & F" have a reputation for serving the best martinis in LA! Image courtesy of the Hollywood Roosevelt Hotel. Image courtesy of Musso & Frank Grill. If you're looking for an upscale and trendy SoCal experience, head to Santa Monica. On the beachfront you will find bikers, roller-bladers, runners, walkers and an old-fashioned pier with an amusement park. 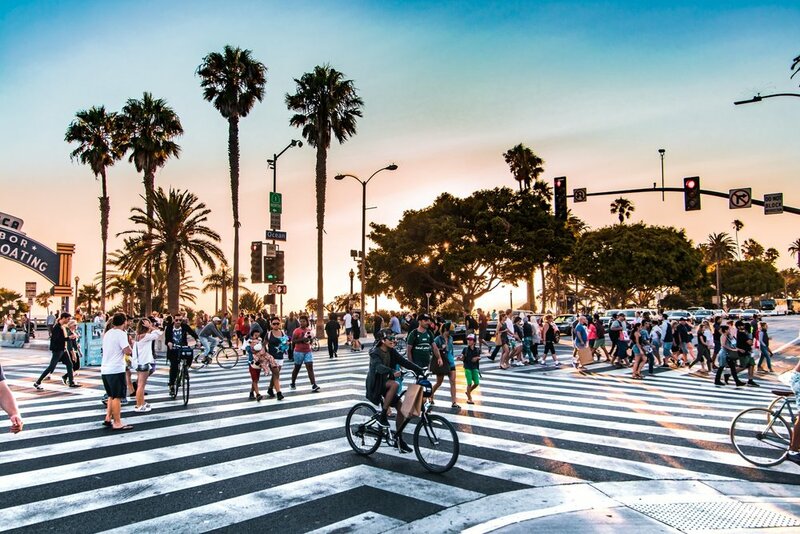 If being mobbed by sightseers and buskers isn't your thing, skip Third Street Promenade and opt for the quaint boutiques and cafes on Main Street. Mural-filled Venice, the neighbouring beach town to the south, is more funky, edgy and arty, attracting a fashionable, younger crowd. There is a quieter, calmer side of Venice. Stroll around the beautiful "Venice Canal's" or take a walk down Abbot Kinney, which is home to some of the city's best boutiques, galleries, coffee shops, restaurants and bars. Fairmont Miramar Hotel & Bungalows - Historic SoCal elegance fuses seamlessly with eco-chic design steps from the beach, shopping and restaurants. Be sure to book an Ocean View room which offers spectacular Pacific ocean views towards Malibu. 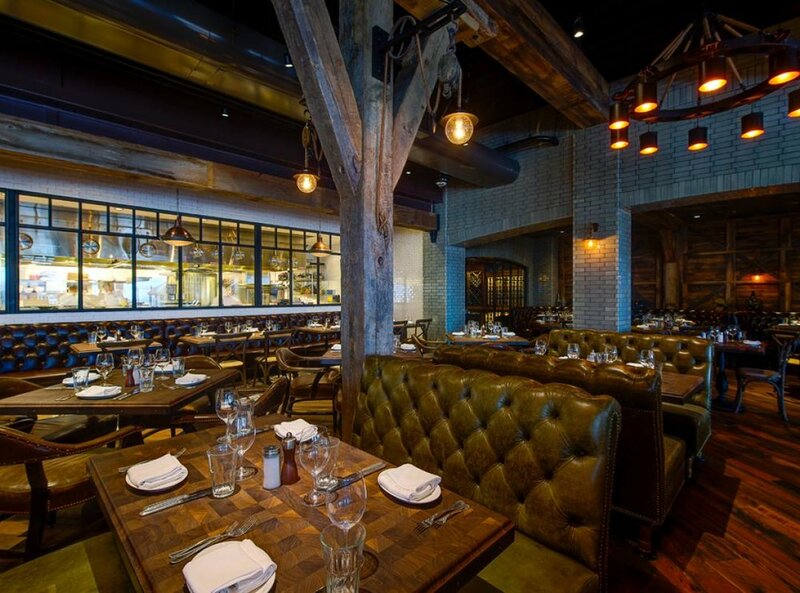 Water Grill is a high-end seafood restaurant with an excellent raw bar located right across the road from the ocean. Pro tip: Book well in advance. Image courtesy of The Water Grill. Image courtesy of The Fairmont Hotel. Fig Restaurant at The Fairmont Hotel. Beverly Hills is known worldwide as a premier destination for luxury. For the designer-label cognoscenti that strut through its most fashionable district, Rodeo Drive, Beverly Hills earns its fanfare. Palm trees, posh cafes and meticulous sculpture gardens personify this neighbourhood. Visitors will enjoy whacky bus tours hopeful of spotting a celeb "in the wild", whilst the locals are out dining in the pricy restaurants where it's more important to be seen than to eat! The Montage Beverly Hills - Luxurious Hotel, spacious, sumptuous rooms, a luxury spa and a heated rooftop pool all overlooking beautiful gardens which create the feeling of a resort in the heart of Beverly Hills. 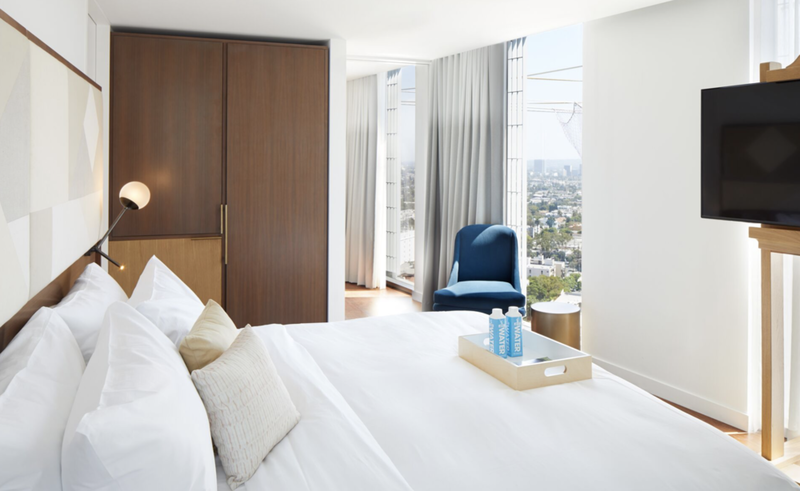 There is one defining characteristic of Montage Beverly that's ranked it the #1 Five Star Hotel in Los Angeles for two years in a row and it's that hospitality industry word called "service". Spago - An LA classic, this long time "flagship" of the Wolfgang Puck empire in Beverly Hills still rocks after all these years. 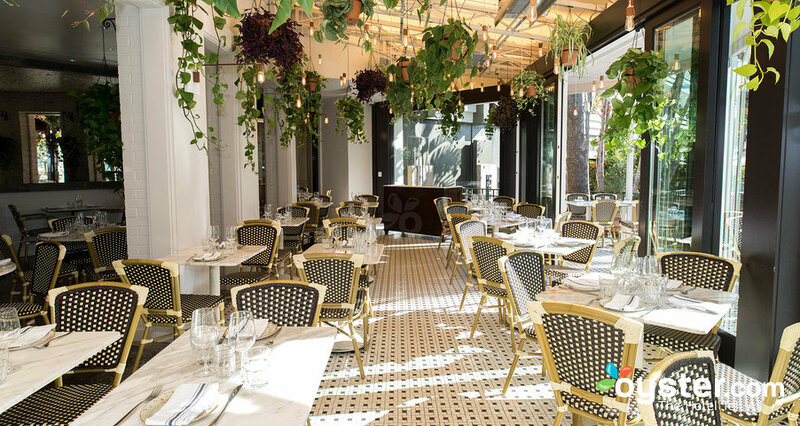 Offering fresh, top-notch service and food, this is our "go-to" when in Beverly Hills. Image courtesy of The Montage Hotel Beverly Hills. An easy 30 minute picturesque drive north from Santa Monica brings you to the small coastal town of Malibu. With its remarkable concentration of some of the prettiest hiking trails in the country and 20-plus distinct beaches, Malibu is a perfect laid-back seaside spot with no shortage of scenery. 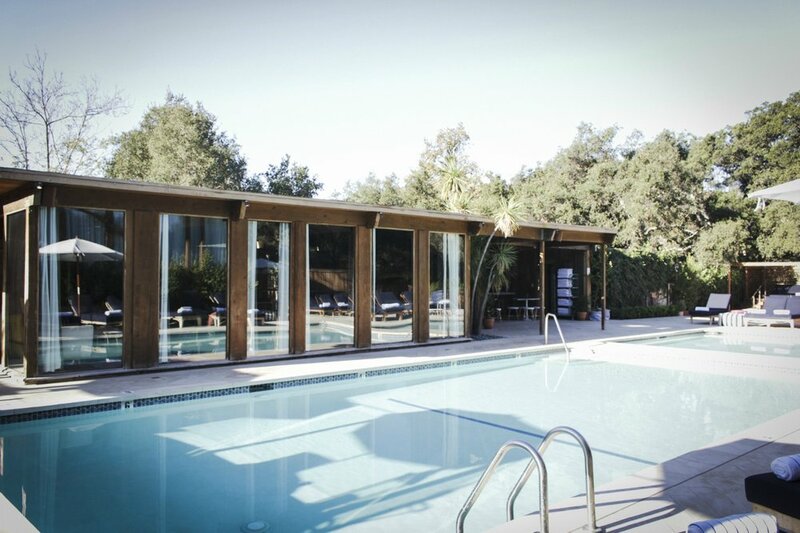 Calamigos Guest Ranch and Beach Club - Private luxury Cottages, Bungalows and Estate Rooms set across almost 200 acres in the mountains above Malibu. Resort guests access the private Calamingos Beach Club along the Malibu coast via a luxury shuttle approx. 12 mins away from the Guest Ranch. Geoffrey's stunning beachside setting with sweeping ocean views from almost every seat and serving the best seafood in town, is guaranteed to please even the harshest critic. Image courtesy of Calamigos Guest Ranch. Image courtesy of Geoffrey's Malibu.